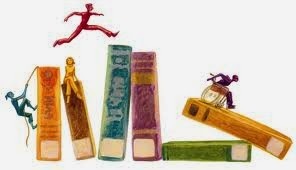 Welcome to Children's Corner book reviews from 4MBS Classic Radio FM in Brisbane. Here you will find short annotations of the children's books reviewed by Kerry Neary in Children's Corner on 4MBS, together with the details you need to find them at your favourite bookstore. Any prices shown are the publisher's Australian recommended price and may vary depending on where you shop. You are welcome to use these reviews for newsletters and the like with appropriate acknowledgement. 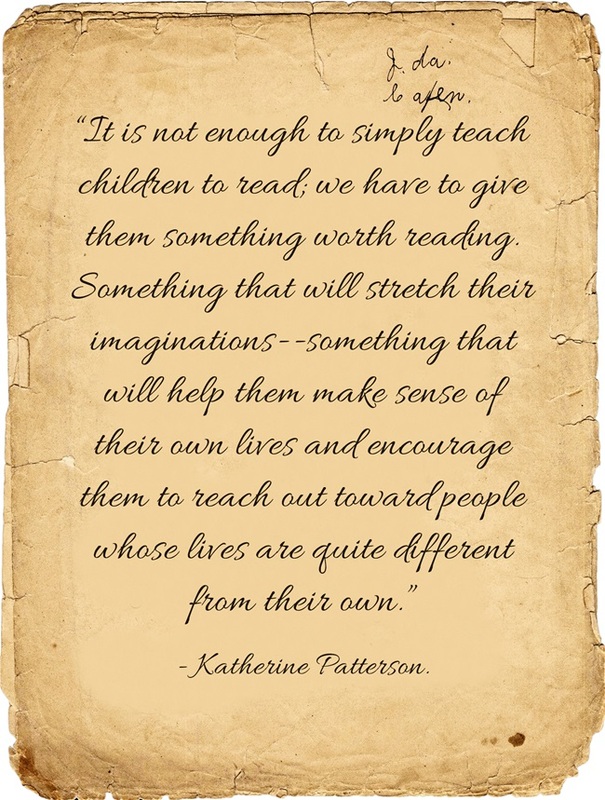 International Book Giving Day is a day on which you can give children a book for no reason at all. As it is not far away, today I have some books that would make great surprise gifts for early readers. Maisy Mouse and Mummy Hen search around the farmyard for 10 lost chickens. There are all sorts of places that chickens could hide in this lift-the-flap story: the stable, the tractor, the wheelbarrow and more. One by one, Maisy and Mummy gather them in until all 10 are safe and sound in the hen house. Even then, Maisy makes one more check to be sure all are ac-counted for. The illustrations are a visual treat, done in gloriously bright colours with bold black outlines. What a wonderful book to learn how to read and count! 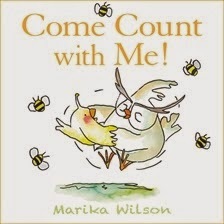 Another counting book, based on a favourite trick played by adults on children. Little Chicky shows off her new-found talent of counting to five. When Nana tries, she skips a few numbers, not quite managing the task. Chicky frenetically explains again – and Nana n-e-a-r-ly gets it right. One more time Chicky sternly tries. Finally they count items from around the garden, and Nana is redeemed - and ironically amused. The endpapers are cleverly used to count through to ten. The minimalist style of illustration, with outlined cartoon-style characters coloured with delicate watercolours, allows the joy of the story to burst through. A great read aloud for toddlers and pre-schoolers. International Book Giving Day seems an ideal time to introduce this uplifting book to a new generation of early readers. 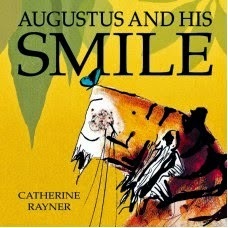 Augustus feels he has lost his smile so he sets about finding it. A long stretch to start and then he is away, under shrubs, in the trees, over mountains and into the oceans. His smile eludes him but he is enjoying his adventures, and the reader sees something change. Then the rains pour and as Augustus leaps around the puddles, he finds his smile again. Ah! The joy of living. It’s a profound message told in a quiet, uncomplicated text. Especially arresting are the playful illustrations in spontaneous watercolour splashings and bold tiger colouring that portray a regal creature in a mischievous mood. Share this affable, gracious story with the under 5s. Getting children ready for school – sort of. Food is a very important school topic, especially healthy food choices in the lunchbox – as shown on the endpapers of this book. 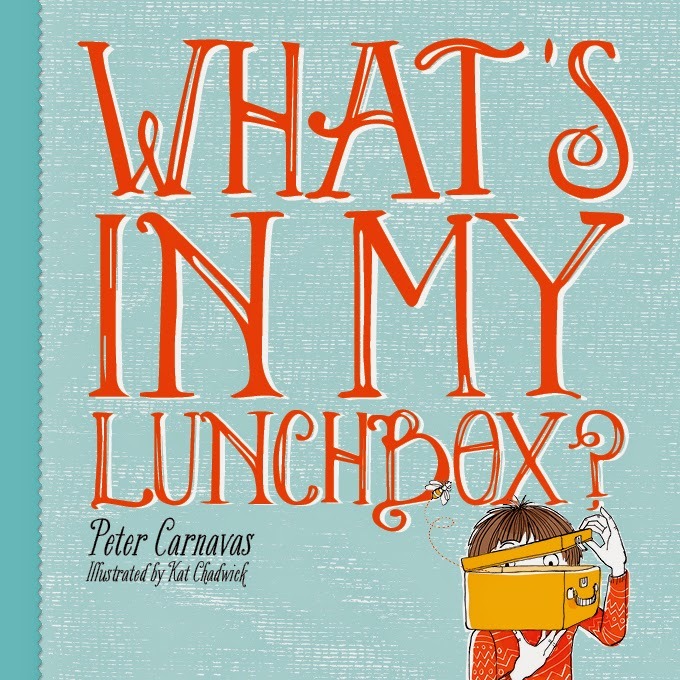 What if the lunchbox contains something you don’t like? What are the options? Well you could have... No, let’s not go into that here; try the book for that! Maybe you should be thankful for what you are given. The child character grounds this story in the world of young readers; and they get the point. The colourful poster-print style of drawing adds to the enjoyment of this book for early childhood readers. Rose is new in town and is lonely. She makes a wish; just for something magical to let her feel that she belongs. Somewhere across the ocean of imagination her wish is heard. 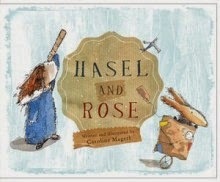 When it arrives, Rose is there to welcome it - a raggedy hare-like toy which she calls Hasel. Hasel gives her the courage to venture out and so she meets Emm and her raggedy cat-like toy. And Hasel and Emm become old friends. The writing is poetic, words tinted with further meaning; quirky watercolour sketches carry a touch of mystery, sitting out on the edge of imagination waiting to float in. 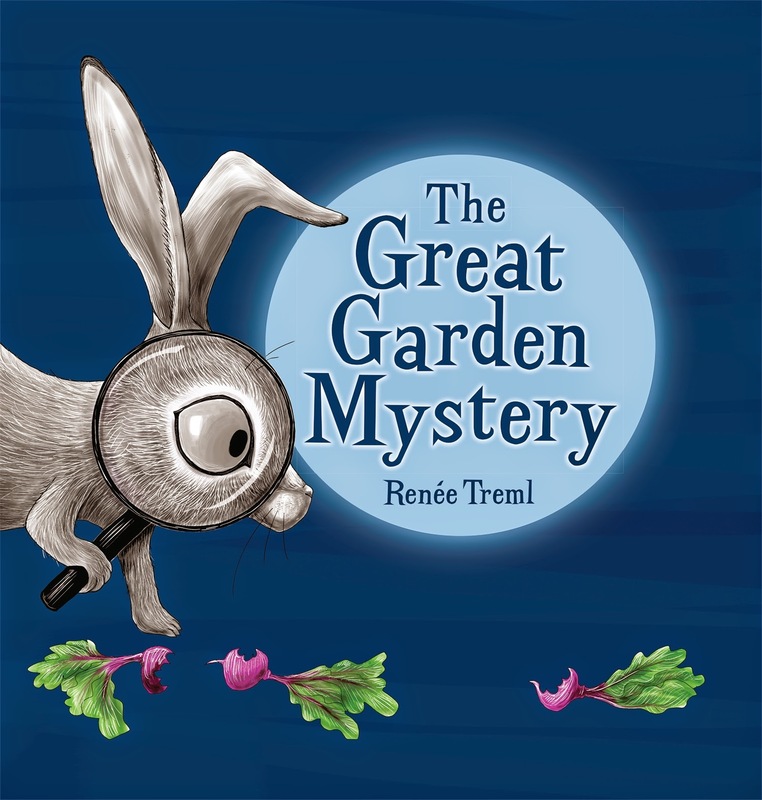 Children will be attracted to the eccentric whimsy of this enchanting story. Oliver and George must be very good friends, considering how much Oliver is pestering George to play. Oliver tries everything to distract George, who is intently reading a book. Even a porridge pot on the head doesn’t seem to work. Then he snatches George’s book. George lets out a frightening roar – which suddenly puts him in the mood to play. But Oliver is now distracted by something else. This happy book is filled with loads of appeal for early readers. 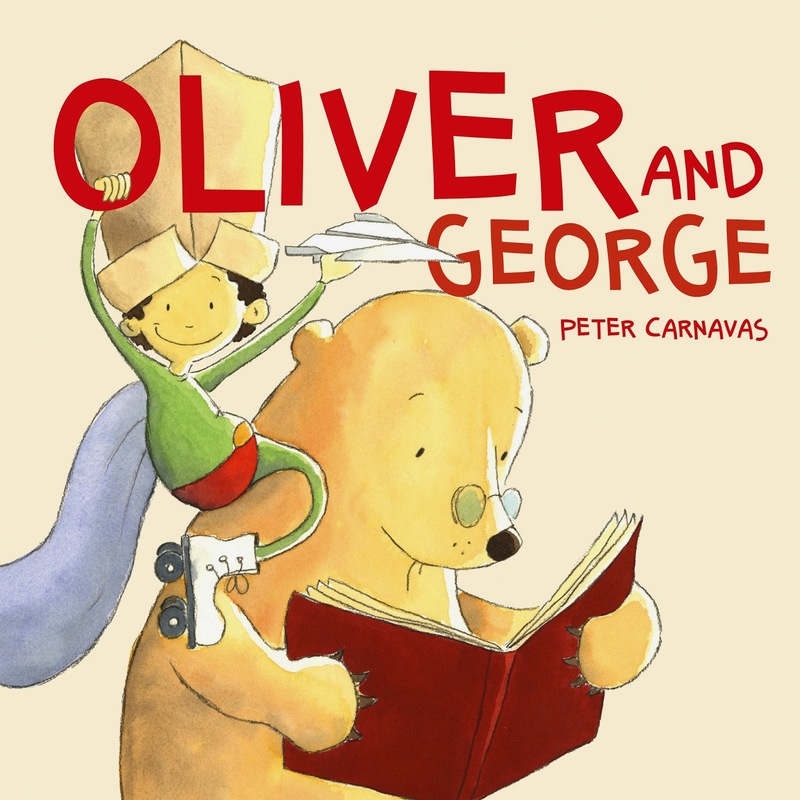 They are bound to enjoy the adorable George and enthusiastic Oliver as their lively images bounce around the pages. Back to school – and no new Australian releases to show for it! Except for Jessica’s box from last week but that is a new release of an old release. So let’s look at books with some essential general knowledge for pre-schoolers. For kindy graduates with a diploma in finger-painting, this book is the definitive guide for colour mixing. 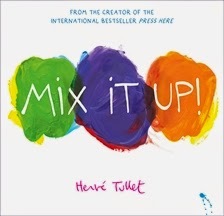 Actually it’s an eccentric picture book which plays whimsically with a child’s typical activity and presents it in a joyfully interactive way; plenty of white background to accentuate the coloured shapes, and a breezily conversational text instructing child readers what to do to move to the next page - learning about colour mixing along the way. Sure to delight the under 5s. This animal fantasy about a plunderer of garden beetroots stars several Australian native animals, a horse, with a couple of farm ferals added in. All are clearly named in the romping rhyming text; the black and white scratchboard illustrations make them easy to identify. Unfortunately they are stumblers when it comes to solving the mystery. If only they had remembered that animals can also be identified by what they leave behind – if you know what I mean. Perfect for reading aloud. Some lesser known locations are featured in this alphabetical tour of Australia. 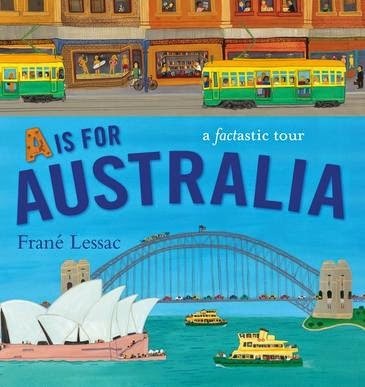 They are all indicated on a map on the first page-opening of the book – A for Australia of course. Children will eventually learn of them in the classroom, on the news or as they travel. At each stop, caption-style information panels tell more about the place and its history and geography. The illustrations are done in naive style, in bright colours with great attention to details. To be browsed over during quiet moments. 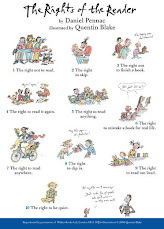 Link from the image above (may be slow to load) for a poster from Walker Books that should be in every child's bedroom.